Experience the Home Team Advantage™ with your local Reliance Yanch™ Heating and Cooling team of skilled professionals in and around Barrie. At Reliance Yanch™, your comfort is truly our calling. That means we're always committed to delivering you a best customer experience, including 24-hour call support – so we're always there when you need us. Our team includes Home Comfort Advisors willing to answer any questions you have about heating, cooling, and hot water needs. We also have service technicians, water heater installers, and furnace and air conditioner installers. All our technicians are licensed and continue to receive training to ensure that we provide you the right service the first time around. The passion and commitment of every team member is exceptional – it’s what really sets us apart – and motivates our customers to tell their family, friends and neighbours about us. Rely on us to help you find the right system for your family’s needs, as well as a full range of expert services to keep your home comfortable, like duct cleaning, preventative maintenance, regular tune-ups, repairs and more. Our #1 goal? To become your destination of choice for home comfort products and services, ensuring that you and your neighbours feel comfortable at home, at work and in our shared communities in Central Ontario. Plus, ask us about our sheet metal shop, as well as geothermal sales, service and installation! Hi, my name is Jeff, Home Comfort Advisor for Reliance Yanch. I've been with Reliance for over 7 years and I love to help people discover the HVAC solution that's right for them. Whether it’s challenges with high utility bills, hot or cold spots in their home, or hot water needs, I enjoy making people more comfortable in their homes. In my spare time, I enjoy time with my family at our cottage – snowmobiling in the winter and playing in the summer sun with the kids and my wife. If you have any questions or would like a no obligation quote, please give me a call at 705-331-0444. Hi, my name is Jason and I ‘ve been with the Reliance Yanch team since July 2016. I love delivering an exceptional customer service experience to all my clients. My experience as a Building Envelope Technician, Certified Home Inspector, Energy Advisor and Home Comfort Advisor for nearly 20 years gives me a well-rounded set of skills that help my customers achieve a high level of comfort. I've also been the proud recipient of several quality assurance and customer service awards. My wife and I have deep roots here – we were both born and raised in the Owen Sound area, and together we have two beautiful daughters. Feel free to call me at 519-270-9509 – I'm always happy to help. Hello, my name is Chris. I grew up on a fruit farm in South East England and, when I finished school, I travelled around Australia for 2 years before returning to England and starting university in Brighton on the south coast. That's where I met my Canadian wife. After having three children, we decided to move to Canada. After working as a business-to-business salesperson and working as head of business development for 14 years, I joined Reliance this year and I'm looking forward to a long and fruitful career here. Hello, I’m Christine DeMarsh, a Home Comfort Advisor for Reliance, serving Barrie and the surrounding areas. Over 20 years of experience in the construction industry has given me the skill to asses peoples homes and provide options to improve comfort and efficiency. I can walk you through all the ways in which a new heating and cooling system can improve not only your comfort level, but how you can improve the air quality for you and your family. As a proud mom of 5 children, air and water quality and overall health of the home is something I am really passionate about. I can also help with any water heater, plumbing or water purification needs you may have. Living in Barrie for 14 years I’m very familiar with the unique climate and am not satisfied until you and your family are comfortable in your home. When I’m not working, you can find me spending time with my kids, taking part in sports activities or volunteering with schools. I also love taking on home reno projects, being outdoors and listening to any kind of music! If you have any questions about making your home more comfortable, contact me anytime for a complimentary in-home consultation. The Barrie area isn’t only where our customers are – it’s where our lives are, too. That’s why we’re so active in the community, as citizens and as part of the Reliance Yanch™ team. Our Central Ontario team participates in the annual Reliance United Way Drive, giving back to our local community with pledging (donating a portion of our paycheques) and a fundraising raffle to help raise more donation dollars. Our team is proud to roll up its sleeves, put on hard hats and safety shoes to hammer nails and paint walls, so that deserving families in and around Barrie can afford a comfortable home. In fact, we’re helping the Barrier H-4-H branch build three town homes locally, putting in electric water heaters, designing ductwork, and installing furnaces. 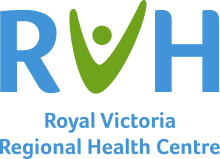 We’re happy to donate a humidifier, 21-point inspection and duct cleaning to the Royal Victoria Hospital’s “Home Sweet Home” charity event every year. And in 2015, we donated an electric fireplace to the newly renovated Royal Victoria Hospital gift shop. Barrie Ice Fishing Tournament: We’re a major sponsor in this year’s ‘Ice Fishing Tournament’. Barrie food Bank: In 2015 and 2016, we ran a Christmas holiday food drive to raise funds for this important organization. "I have been a Reliance customer for 30 years. I recently moved to Midland to a home with a new furnace. After several months here, I felt it was time to have the furnace checked and so naturally called Reliance. Steve came at the appointed hour, courteously tolerated my barking dog and gave me service far greater than the 12 point check. He explained all sorts of things to me, from how and when to change the filter, to the benefits of duct cleaning, continuous fan usage, air conditioning, an ongoing maintenance plan and appropriate care of the thermostat. If you live in this area, ask for Steve - he's the best!" "Our furnace was making a loud sound so Steve Bowden came to service it and was very helpful. Would recommend this company to anyone been with them for years. Called last night and someone came by 7am the next day." "Had our tankless water heater installed yesterday and I wanted to praise the 2 installers that came. Jon & Steve were very professional, courteous, punctual and all around great. The install went without a hitch and the guys cleaned up after themselves. It was a pleasure doing business with Reliance and I would recommend them to anyone. Also their Sales Rep Andrew was also very professional and informative when we first reached out in switching to this tankless. Thank you again to everyone." "Grant came for our initial consultation. He was very friendly, and knowledgeable, and talked options with me. He made my choice very easy, and this was my second quote. Tracey and Mason came to install our new furnace and Central air units. They were so polite, personable and worked hard to troubleshoot some logistics in this old 1880's house. Everything from start to finish was effortless for me, they are very customer friendly. Would recommend to anyone!" "Andrew Prince was G.R.E.A.T I needed a new furnace and called Reliance as my second call. They should have been my FIRST. He spent the time explaining to me how the furnace and AC work together. He then explained the different types of furnaces and went through different payment options. I never felt any pressure at all. I ended up Renting a high quality furnace at an affordable price and I NEVER have to worry about it again. THANK YOU ANDREW PRINCE!!!!" "I called Reliance this morning, April 20th, 2017 to request my yearly maintenance on my Reliance rented air conditioner. Tom Hotchkiss, the HVAC technician arrived later in the morning of April 20th. He did an excellent job, and was patient answering questions and showing us what he was doing step by step. He completed the 21 point precision tune up, and cleaned and hosed down the air conditioning unit. Very thorough, very pleasant individual. I highly recommend Reliance, and in particular, Tom Hotchkiss"